I paint on location out-of-doors as much as possible. 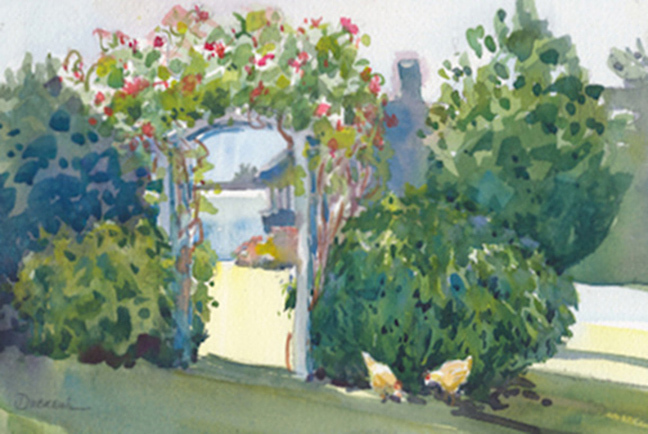 The French term 'en plein air' is often used to describe outdoor painting. I mostly paint with transparent watercolor as a medium. 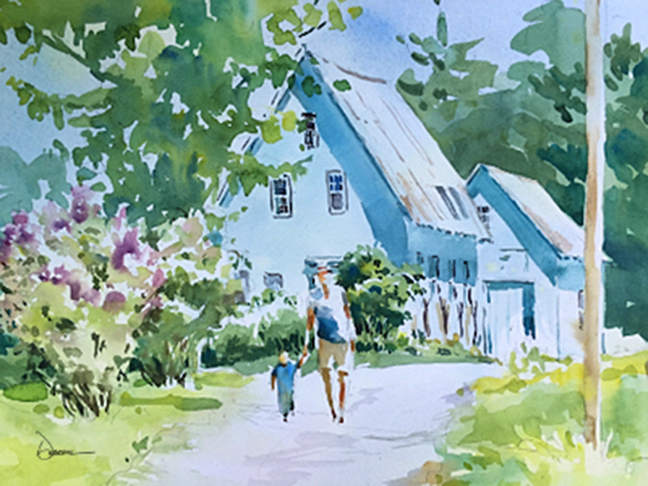 A successful painting is always a challenge, especially in New England, where the weather tends to be less predictable and the seasons refresh us with a new palette of colors. 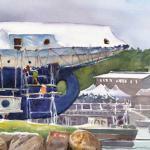 For a watercolorist, humidity (rain especially) can be a tough factor to deal with. 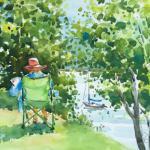 Most of my ‘en plein air’ paintings are done in a couple hours because the light or weather changes so drastically. More predictably, en plein air painting is a great communication device. 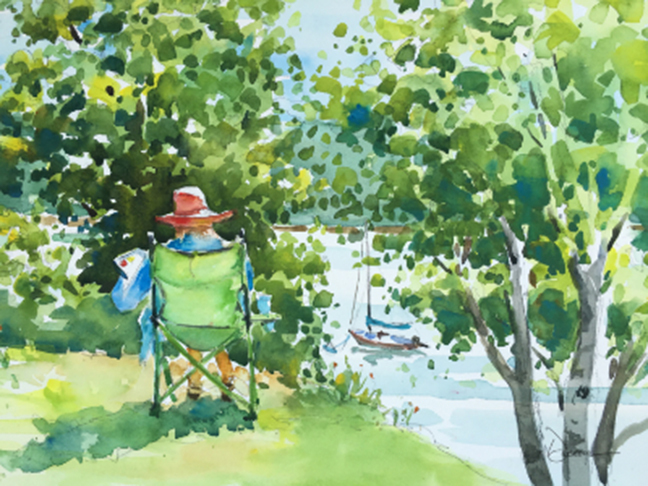 Passers by watch me paint, then often ask me, “How long have you been painting?” They tell me their stories and we're happy, enjoying the time together. 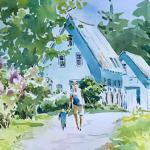 Diane Dubreuil was born in Lewiston, ME and was graduated by the University of Maine with a degree in fine art and education. In 1976 she moved to Pittsburgh, PA where she was employed as a graphic artist. 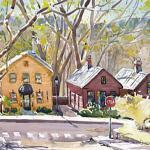 While residing in the Pittsburgh area she met and studied watercolor painting with Frank Webb. 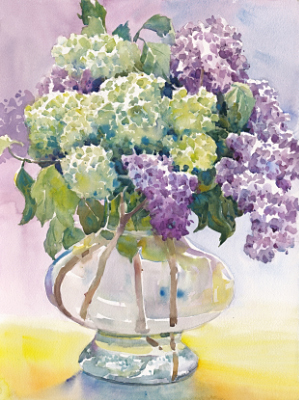 His influence helped formulate her preference for painting in the watercolor medium. 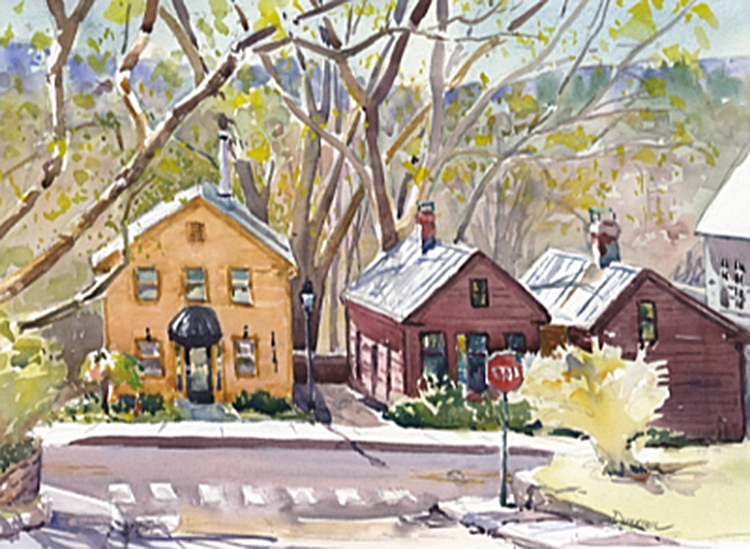 has exhibited American Watercolor Society in New York. Diane was an invited artist-in-residence at Musée de la Grande Vigne in Dinan, France. 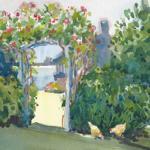 In recent years, she has traveled and painted in Scotland, Ireland, France and Italy, as well as in the United States. 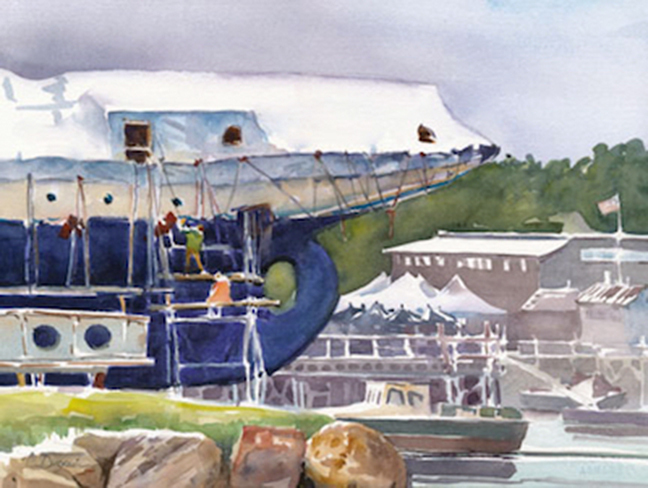 She worked as a freelance artist for several companies, most notably as Director of Coloring for Big Tuna Trading Company, LLC in Roxbury, CT and recently retired from Art Director for Children’s Author/Illustrator Mercer Mayer. For more than 25 years, Diane served on the New Milford (CT) Commission on the Arts. In 2016, she retired from the commission after serving as its Chairman for more than ten years. She now volunteers as Co-Director of Gallery 25. Currently, Mrs. Dubreuil resides in New Milford, CT and Monmouth, ME with her husband, Marc. 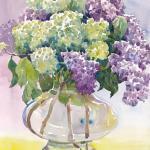 She frequently is seen painting in western CT or southern Maine.